ASICS are delighted to be announced again as the headline sponsor of the Fleet Half Marathon for 2019. The race is a key event in the running calendar for athletes of all levels from near and far, and we are looking forward to supporting the runners on their personal journeys to race day. Look out for more information on training events with our retail partner Alton Sports. Alton Sports are the largest specialty sports retailer in the south of England. We are a family ran business with core values at our souls. We pride ourselves on our in store fitting process, we stock the most comprehensive range of running and exercise footwear across the south of England, the newest and most innovative, cutting edge products, challenging the mediocre. In store we perform bare foot, static & dynamic testing to make sure that what ever sport your doing you will always have correctly fitted footwear. We fit all technical sports gear from sports bra's to hydration packs. For expert advise or just a friendly chat with like minded people pop into 1 of our 5 stores, all our teams are sportsmen & women themselves who understand the dedication and passion you have. Alton Sports price match all authorised online prices & have unbeatable in store offers monthly so come pay us a visit. 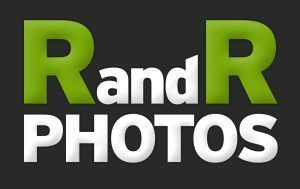 All running club members are entitled to a discount on presentation of their membership. Everyone Active is honoured and proud to support the Fleet Half Marathon 2019 and we hope that you have a wonderful time. Everyone Active have been appointed to manage Hart and Frogmore Leisure Centres for the whole community to enjoy. Together with Hart District Council, we hope to improve the health of the community by providing first class programming, activities and facilities for people of all ages and abilities. The Hart Leisure Centre complex in Fleet provides three swimming pools, a 120 station gym, sauna and steam, high quality changing areas, a climbing wall, café, multiple sports pitches, group exercise studios and a sports hall. Frogmore Leisure Centre in Yateley boasts a state-of-the-art gym, dedicated group cycling studio, brand new high quality mini offering sauna, steam room, hot beds, hot yoga studio and relaxation area. Crèches are also available at both facilities, offering parents somewhere to keep little ones entertained whilst making use of the leisure centre facilities. 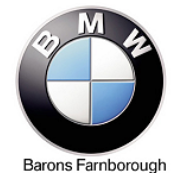 Barons Farnborough BMW have been trading for over 30 years. 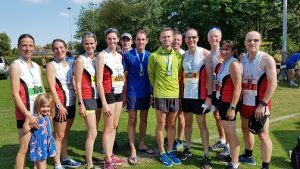 We continuously look to support the local community and are proud to provide the lead race car at the Fleet Half Marathon for the 10th year running. We offer a personal and friendly, yet professional service for New and Used BMW car Sales and Aftersales. Our state-of-the-art showroom on the Farnborough Road is one of the largest in the South and showcases the latest BMW model range with a large forecourt display of up to 100 Approved Used BMWs. Founded on the simple principle of delivering outstanding customer service, at Mackenzie Smith we believe in focusing on individual client needs and delivering a bespoke service, tailored to you. We have been selling property and land in North Hampshire and the Surrey borders for 25 years and know our local markets intimately. We pride ourselves on providing accurate sales and rental valuation advice and selling and letting property whatever the market conditions. The Snowboard Shop is an independent winter sports retailer based in Fleet. Run by a small team of dedicated snowboarders they also happen to be keen runners too! As well as snowboards they also stock all the other bits you would expect for your next snowboard / ski trip and a range of Skateboards, Longboards and Stand Up Paddle boards too. Bloodwise (the new name for Leukaemia & Lymphoma Research) is the UK’s biggest blood cancer charity. We’re here to beat blood cancer. We stop people dying from blood cancer, we make patients’ lives better and we stop people getting blood cancer in the first place. To date, our incredible runners at the Fleet Half Marathon have raised well over £100,000 to help us change the world for people with leukaemia, lymphoma, myeloma and other blood disorders. •£20 could pay for 100 patient information booklets to be sent to a hospital – so patients get expert information as soon as they’re diagnosed. •£100 could help a researcher analyse 120 blood cell samples – and any one of them could hold the key to a new discovery. •£500 could pay for a research nurse to support one of our clinical trials for three days – giving patients a hand to hold while they’re testing new treatments. Run for Bloodwise and we'll support you every step of the way with fundraising advice, training tips and some of the best-looking kit out there. Visit our website, email running@bloodwise.org.uk or call us on 020 7504 2212. We can’t wait to have you on our team. Square One is an award-winning and trusted physiotherapy, sports injury and manual therapy business covering North Hampshire from 3 clinic locations in Odiham, Herriard and Hannington. Square One specialises in the management and treatment of all musculoskeletal conditions commonly seen in adults, children and young people.